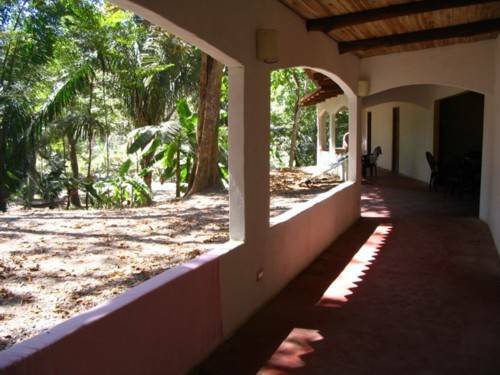 Cuesta Arriba, a shady Spanish colonial style hostel, a little aways from the dusty bustle of downtown Santa Teresa and yet one step from the well known surf break of La Lora. 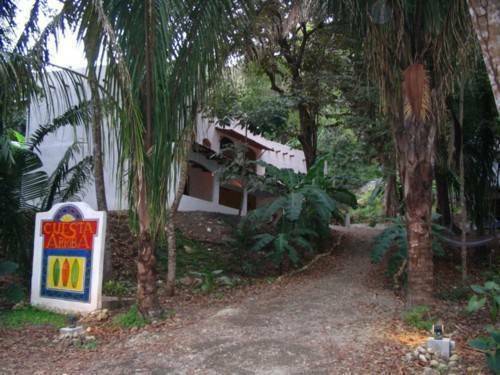 Friendly Argentinean couple, Barbara and Martin run this cozy and laid back B& B style hostel that offers lofty and spacious co ed rooms that can house up to six guests. 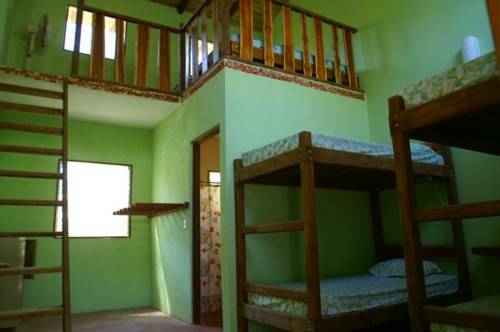 Each room has a private bathroom cleaned daily and is equipped with individual surf racks, safety boxes and fans. Complementary coffee and toast offered daily between 7 and 9 am and the hostel also houses a fully equipped, clean and spacious communal kitchen. There is also a breezy lounge area with cable tv and a dvd player, the owners offer a wide selection of dvd films. Tourist information available for both surfers and non surfers. The rate is $12 USD per person, group rates available as well.